The for/against thing seems to be battering against me constantly. NaNo is a great way to establish a writing habit. NaNo is a terrible way to establish a writing habit. NaNo will help me write my first draft. The first draft won't be worth looking at. It all ties into my own self-sabotage, too. I'm pretty sure I can write 50k this month. Six out of seven of my previous NaNoWriMo attempts tell me that. 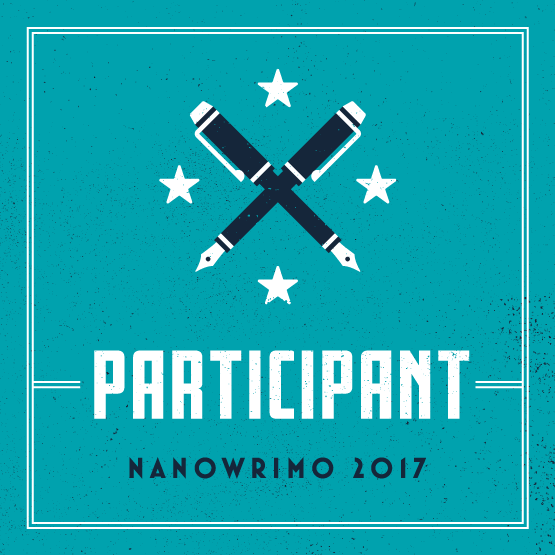 Write something for NaNo and face the strong possibility that I'm going to feel worse about my writing afterwards. I want a third option. I want there to be a way to get myself writing regularly, but also writing things I can enjoy and go on with. I don't know how to do that, so today when I sit down to start talking myself into writing, I'll be wondering if I'm helping myself or making things worse. 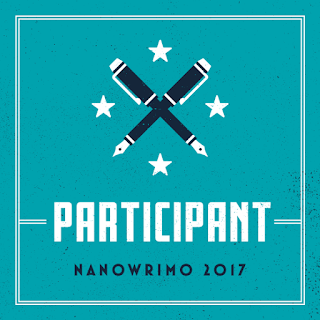 NaNoWriMo 2017, Day 1: Why am I even here?